On June 15, 1858, Eli Whitney Blake of New Haven was granted US patent No. 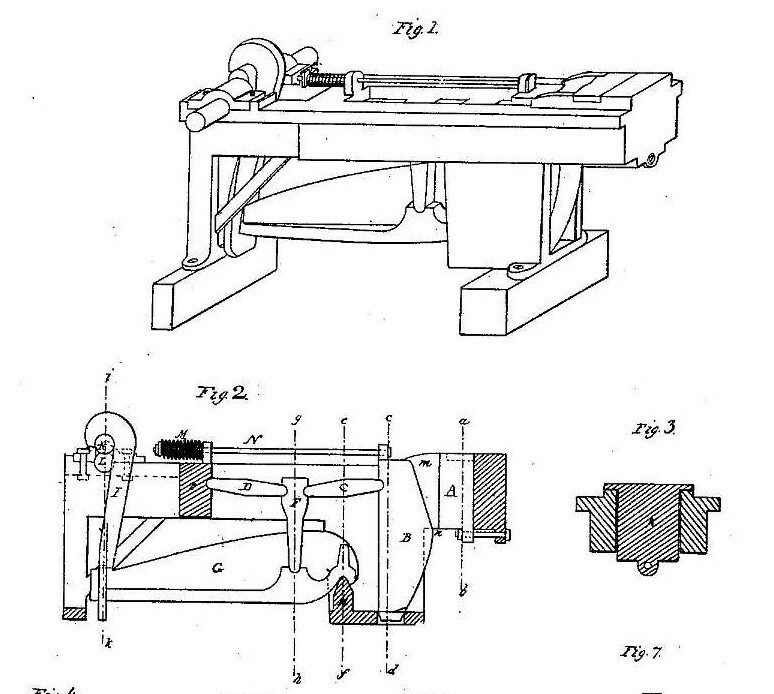 20,542 for a “machine for crushing stone.” The nephew of cotton-gin inventor Eli Whitney, Blake gained civil and mechanical engineering skills at the Whitney Armory, his uncle’s arms factory, which he and his brothers ran upon Whitney’s death. The brothers left the armory in 1835 and opened a hardware factory, Blake Brothers, in Westville. There, they invented and patented such products as latches, door locks, and corkscrews. In 1851, Blake was inspired to invent the rock crusher while serving on the New Haven town committee and involved in the construction of a two-mile road to Westville. At the time, workers crushed the stones used to build roads with hand hammers. Blake decided to solve this costly and labor-intensive problem by mechanical means when he designed a steam-powered machine that could crush the stone into the desired sizes and shapes. He later formed the Blake Rock Crusher Company.